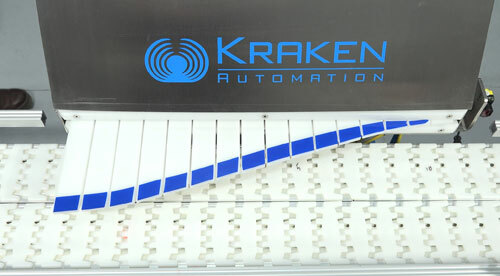 The servo paddle reject device on the KSPR3-240 is an energy-efficient, three-fin, servo-driven paddle designed for precise rejection of cartons and products. This servo paddle works well in conjunction with many product sense/detect and vision systems to prevent reject packaging. Products can be inspected and rejected for many reasons including: metal detection, open flap, open case, improper bar code, etc. KSPR3-240’s paddle rejection mechanism can operate at rates of up to 240 PPM depending on product and carton sizes and weights. 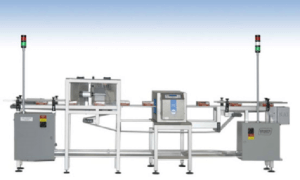 The KSPR3-240 replaces high-air consumption components and pneumatic paddle rejection systems, which in turn eliminates the unreliability of air blow-off systems. 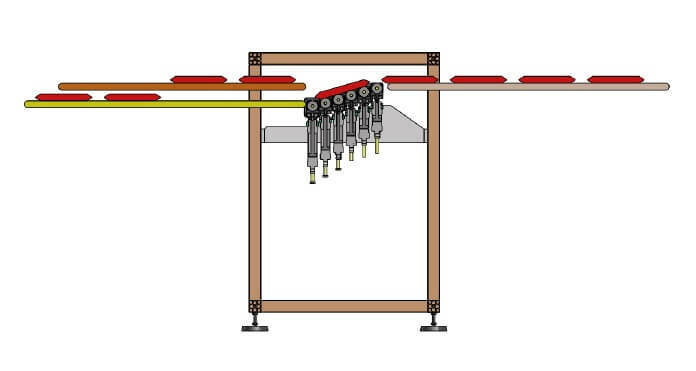 Pneumatic paddle rejection can also lend itself to product mishandling, particularly during conveyance of open-case or open-carton applications, susceptible to contamination by air-blown reject product. 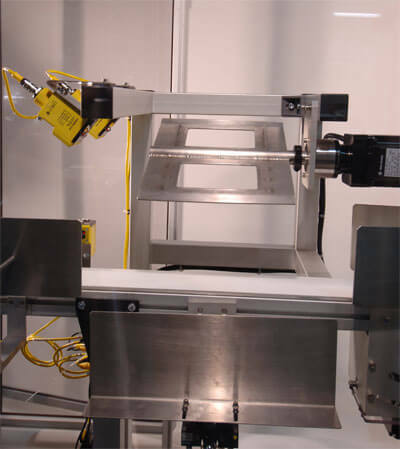 Product skewing and downstream product jams are also eliminated when outmoded pneumatic system material handling systems are replaced by the precision of servo-driven devices.